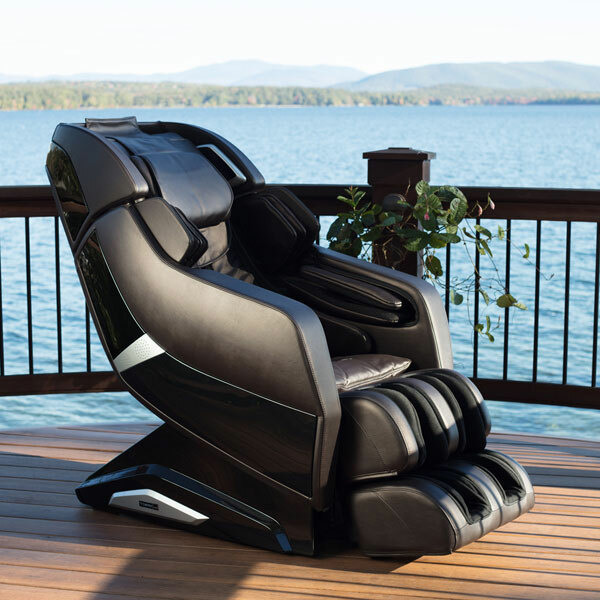 The Infinity Celebrity is designed with top-tier technology and a luxury look and feel that truly provides a massage experience worthy of celebrity status. With the longest massage strokes and the most advanced 3D technology in the industry, you will feel like you’re receiving a massage from the hands of a professional therapist. Your muscles will feel relieved and rejuvenated from head to toe, giving you the first-class feeling that you deserve. A unique feature that separates the Celebrity from the competition is its mechanized footrest, which automatically extends in order to accommodate the leg length of the user. This makes it easy and comfortable to experience the perfect full-body massage. Lastly, Bluetooth®-connected audio speakers provide the final touch on your immersive massage experience. Play your favorite music, ambient soundscapes, or guided meditations while receiving a world-class massage in the comfort of your own home, and ascend into your happy place.